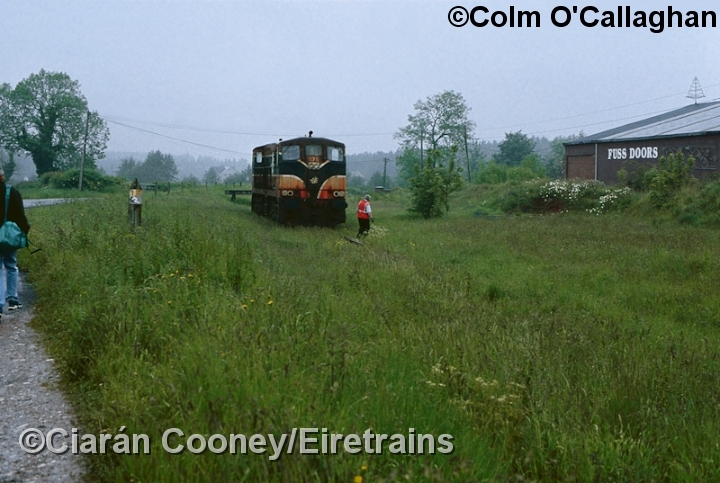 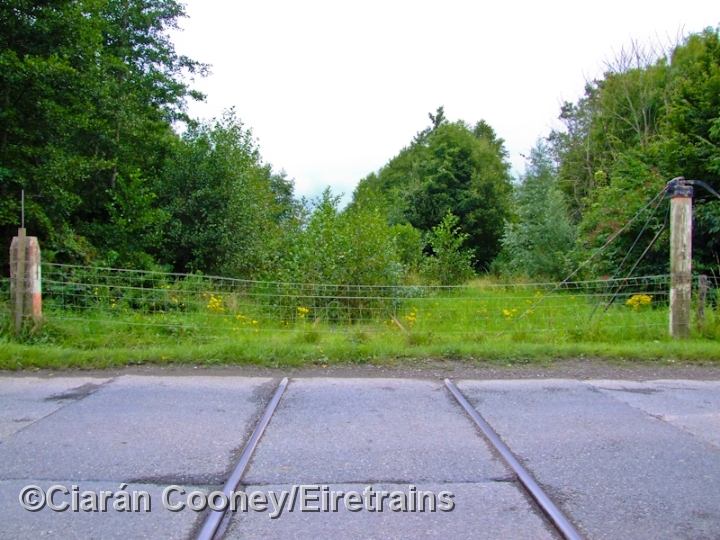 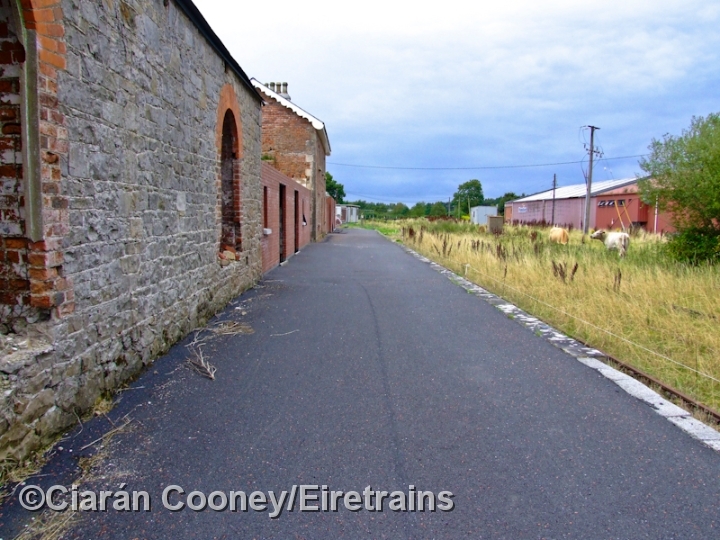 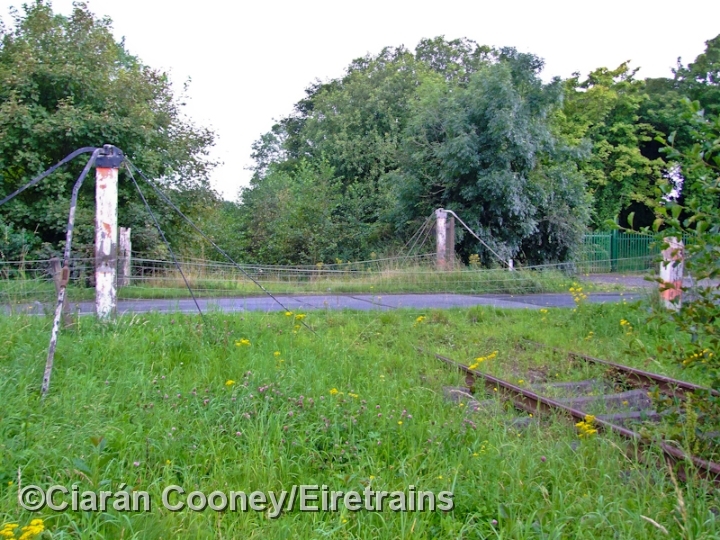 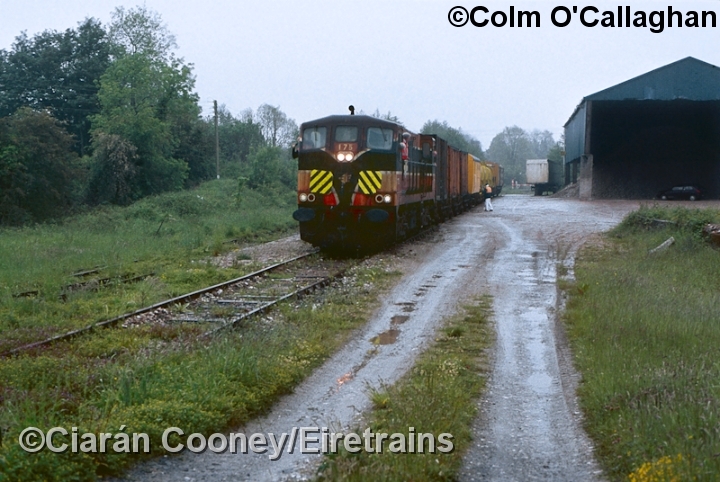 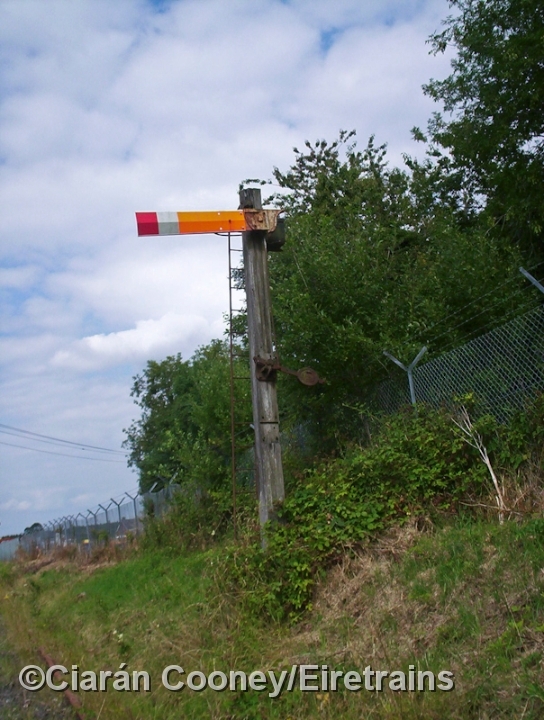 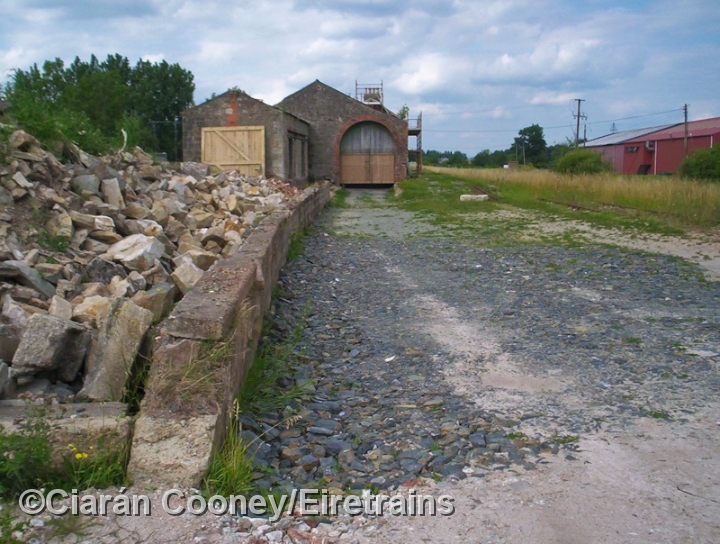 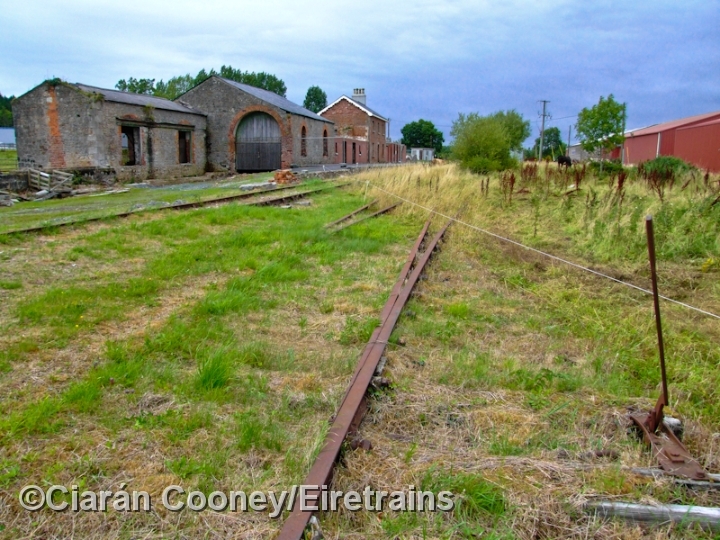 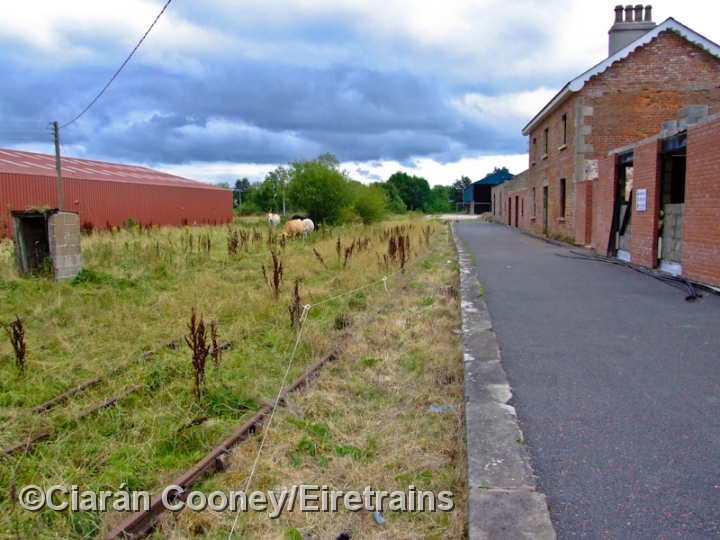 Kingscourt, Co.Louth, was the terminus of a dead end branch line built by an independent railway company, which opened in stages between 1872 and 1875 from the Great Northern Railway's line at Navan. 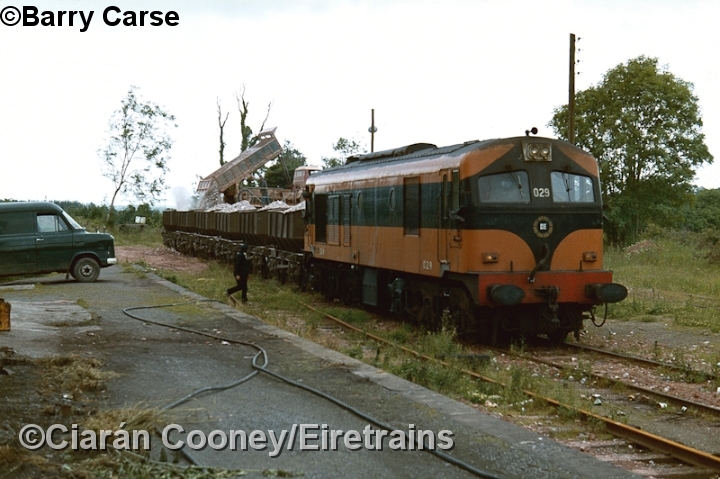 This company was taken over by the Midland Great Western, who had envisaged the line been extended north to GNR territory and ultimately to Cookstown. 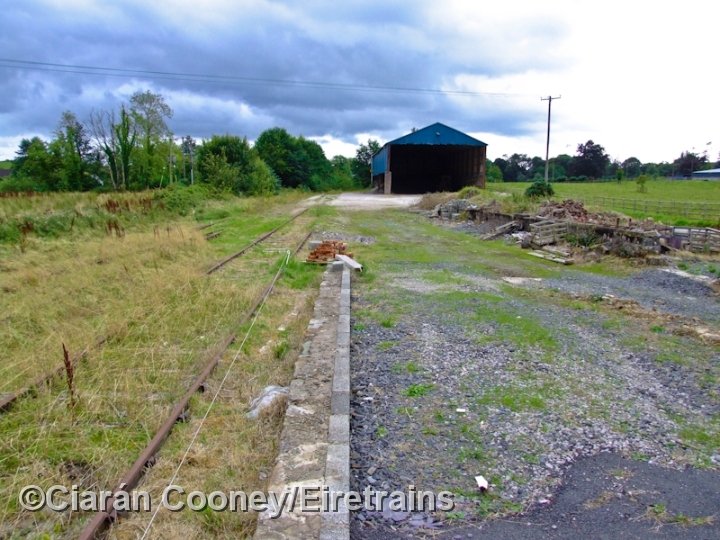 This never came about and thus the Kingscourt line remained a somewhat useless branch line, serving sparse pockets of population in the area it traversed. 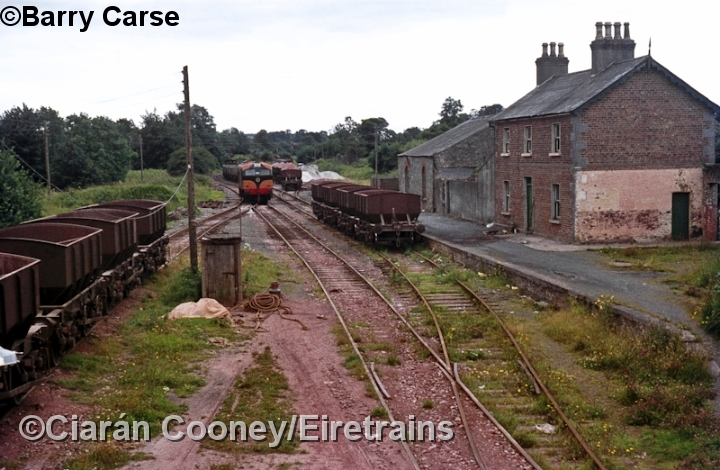 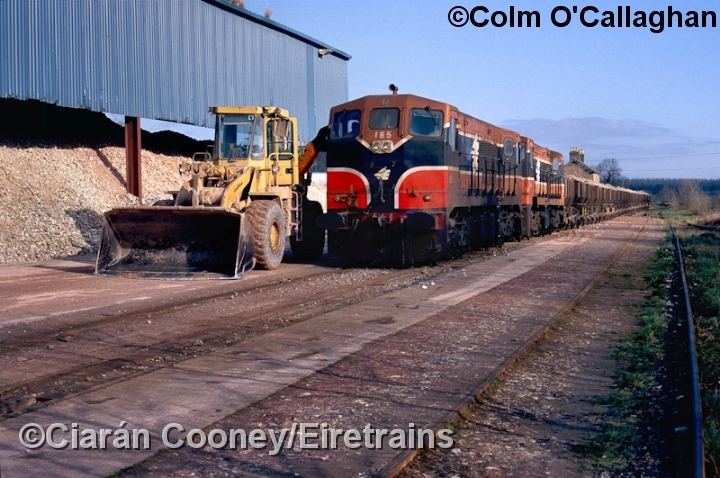 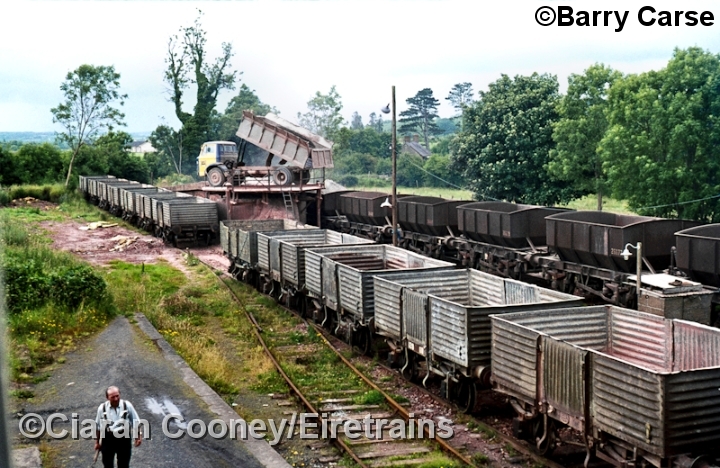 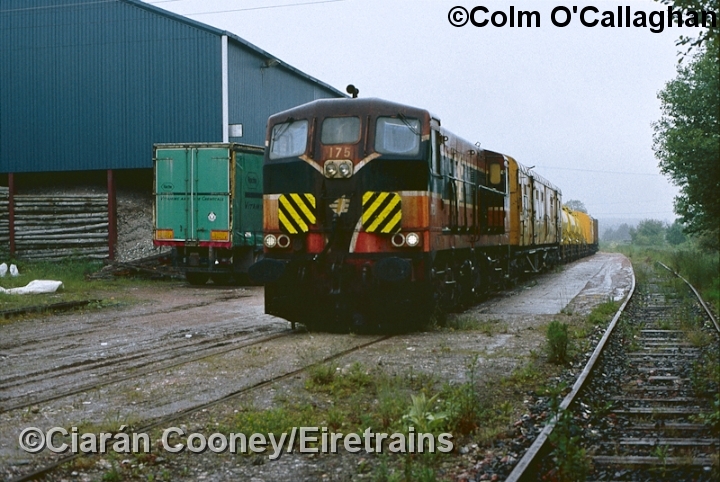 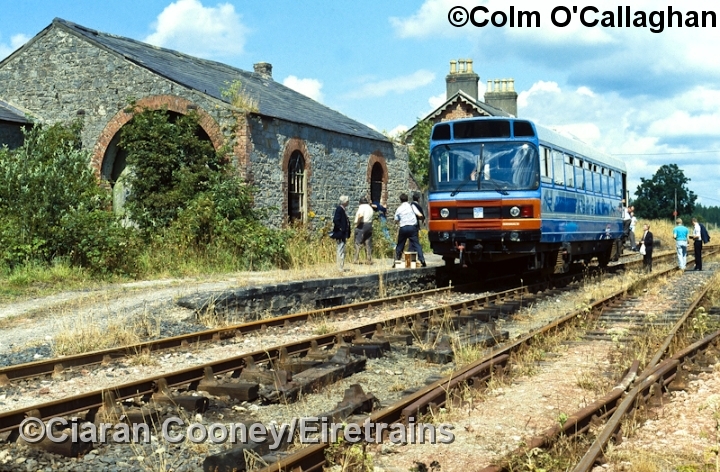 Passenger services were withdrawn in 1947, but the line remained in use for gypsum traffic from Kingscourt to the Platin cement works near Drogheda until 2001, when that traffic transferred to road. 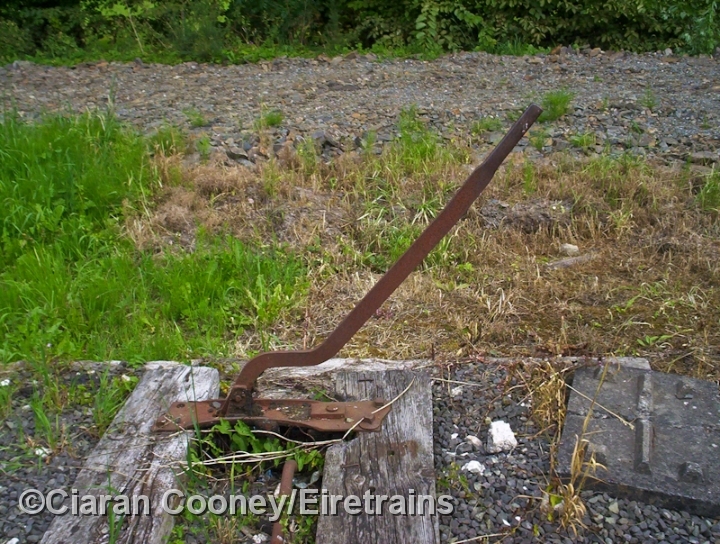 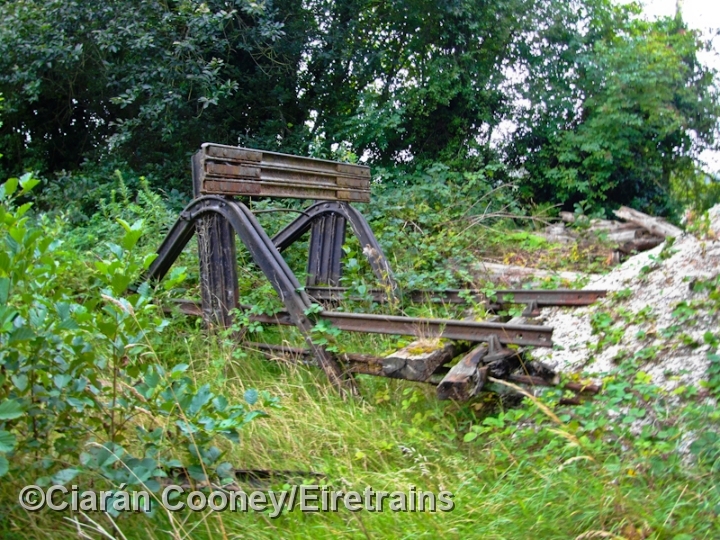 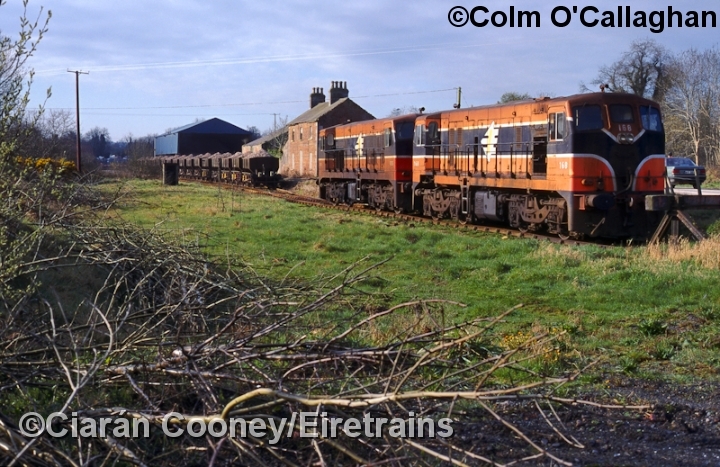 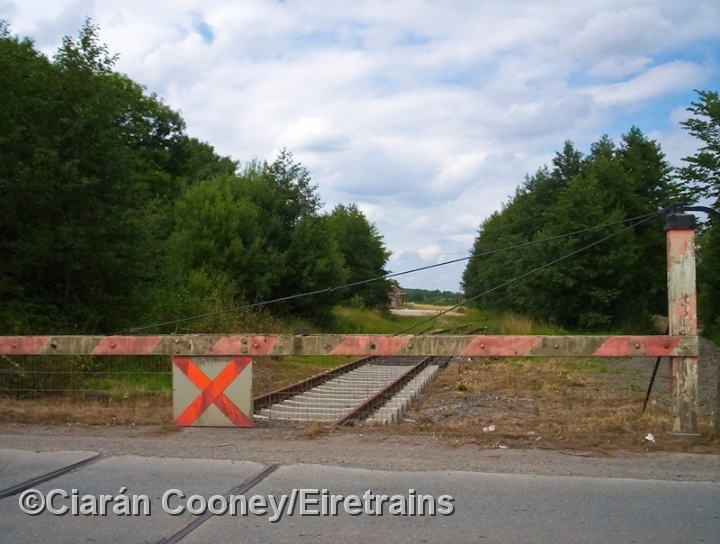 Today, the Kingscourt branch remains disused and disconnected beyond Navan at Tara Junction, and is slowly falling into a derelict state. 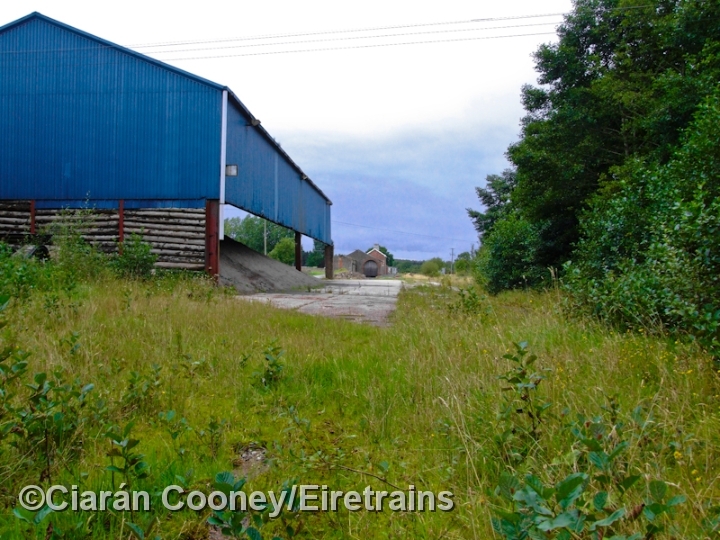 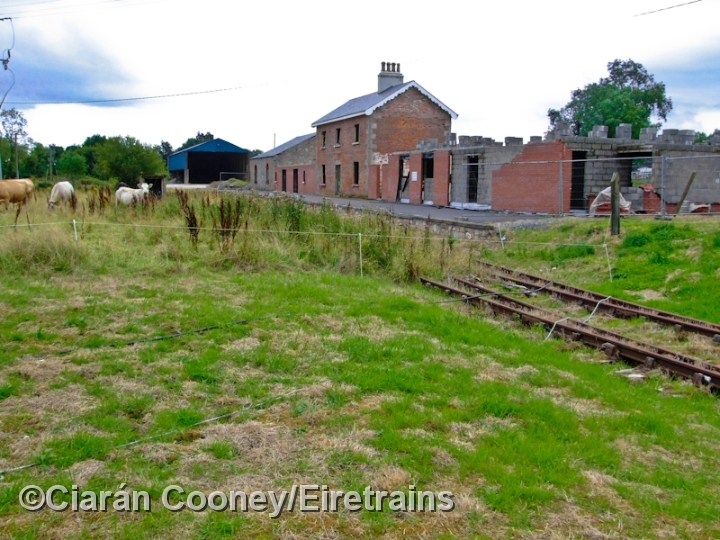 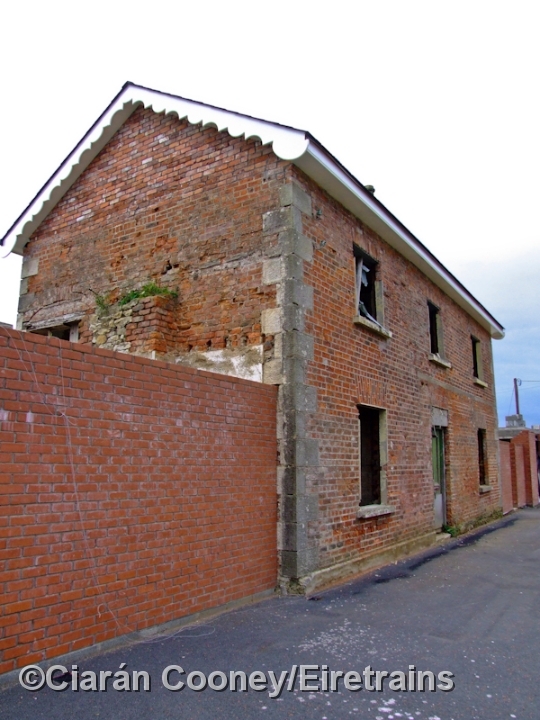 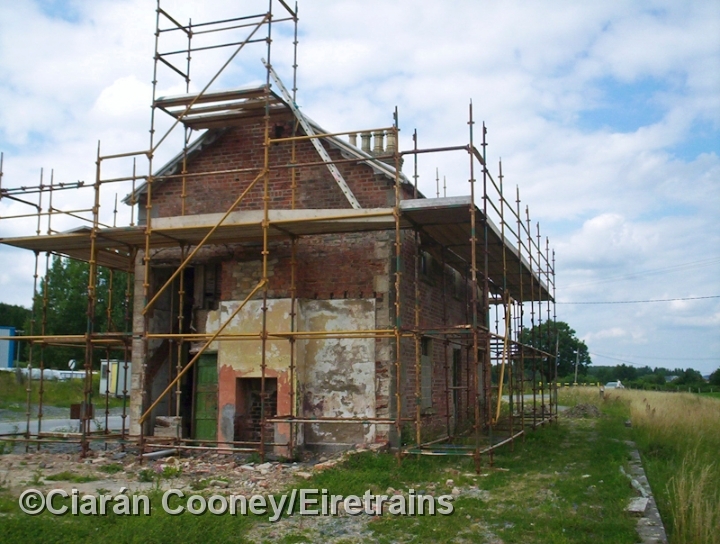 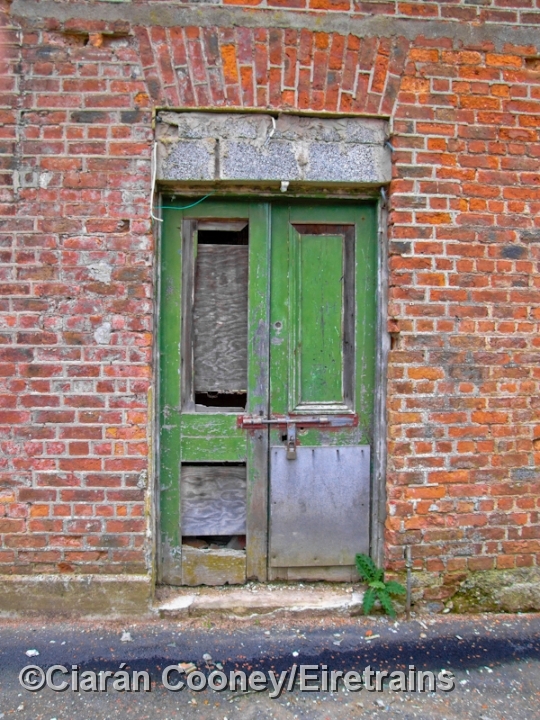 Kingscourt Station itself is currently being restored piecemeal. 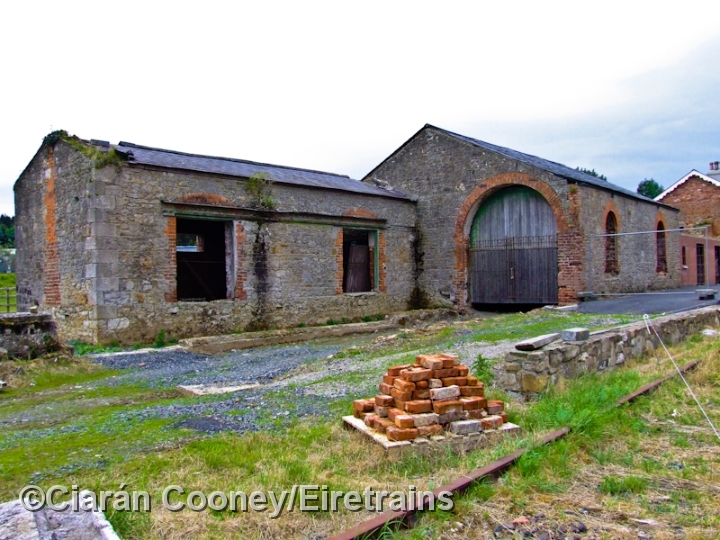 The station, a two story brick built structure, also features a large stone built goods shed, and retains its single platform. 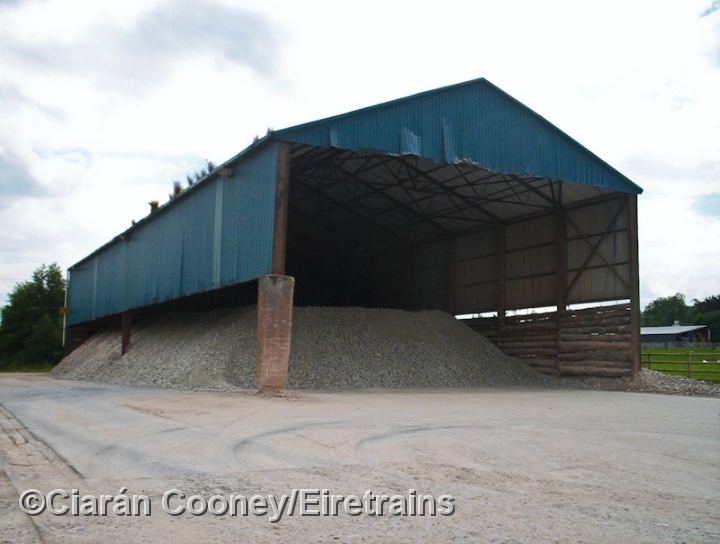 A gypsum loading pad was constructed at the south end of the station to load wagons by digger. 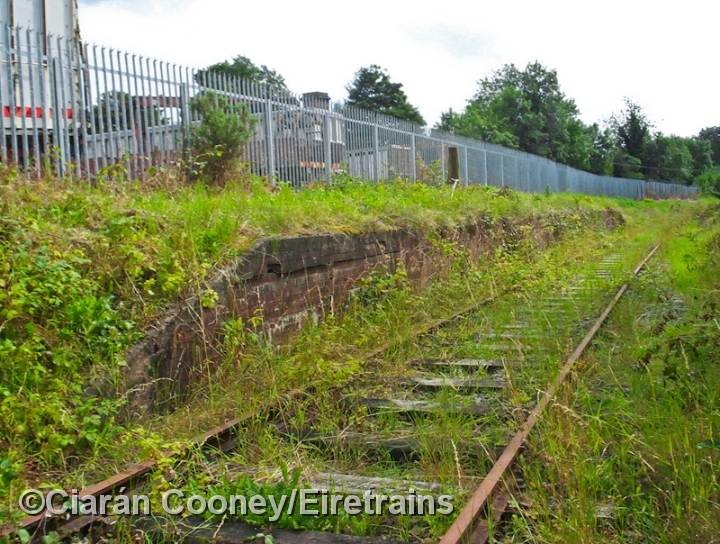 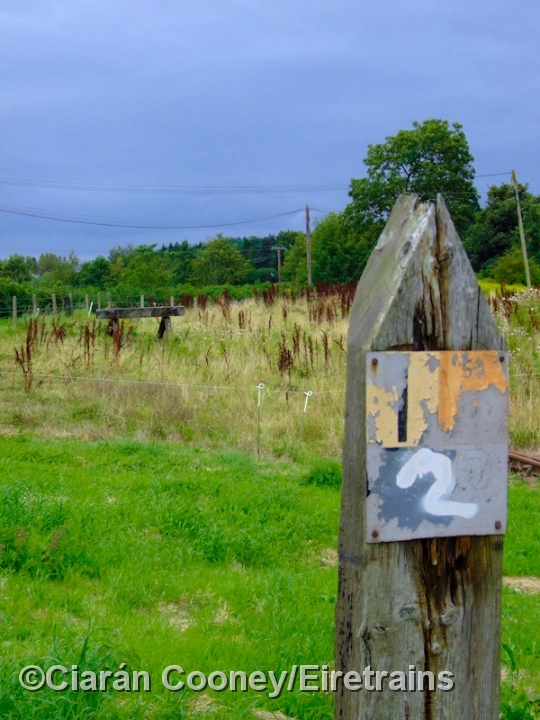 The track work consists of a disused run round loop and overgrown siding.